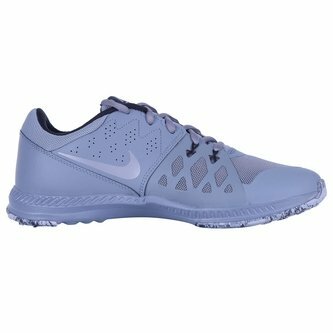 Perfect for cross training, improve your lifting and running and reach all new standards when you pull on the Nike Air Epic Speed TR II Training Shoes in Cool Grey, Black and Speed Red. This shoe utilises specific technology to get the best out of your training, the flywire tech locks down your foot for explosive multi-directional movement. Along with the Air unit which produces low-profile cushioning to keep the foot protected and comfortable whilst on the move, smash your Pb's and improve your all-round training.